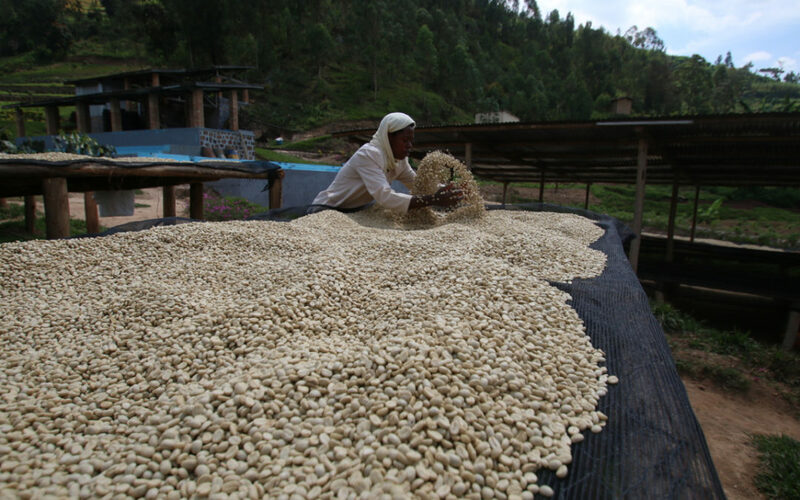 The newest addition to our lineup hails from the Rubengera Sector of Rwanda, from a small co-op of farmers called Kopakaki. They are a fair-trade certified coffee co-op located on the outer banks of Lake Kivu. This coffee is fully washed and sun-dried on raised beds, imparting a clean, uniform acidity and a distinguished clarity of flavors. This is a super sweet, super clean coffee that is arguably more approachable than any African coffee we’ve offered in the last year. While our Ethiopia Idido is wild and exotic, our Rwanda Kopakaki is balanced and gentle, with a prevalent brown sugar sweetness and hints of black tea and green apple. When this coffee first hit our table, we were impressed by its sweetness and balance of flavors. It’s a coffee that is distinct and unique while still being an overall crowd-pleaser. We ranked our favorites based on the brewing method’s abilities to highlight these characteristics. We’re always a little surprised when our favorite brewing method is the french press, as it isn’t typically our go-to method in the roastery. 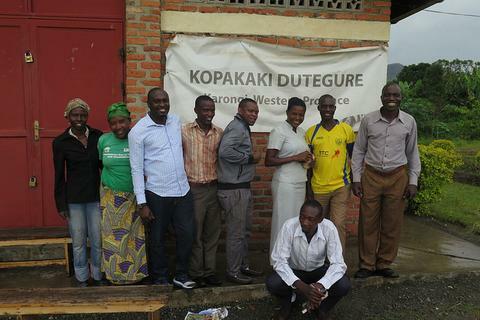 However, our team felt like the french press really made the most of what the Rwanda Kopakaki has to offer. It had an overwhelming brown sugar sweetness which transformed the notes of black tea into something almost reminiscent of the aroma of pipe tobacco. It was so sweet that our teeth practically started to hurt! Brewed with a 1:17 ratio, it was surprisingly clean with little to no sediment in the cup and clear apple acidity. With the level of sweetness, the dense body, and the balance of flavors, we unanimously agreed that the Rwanda Kopakaki is at it’s very best when brewed with a french press. At a very close second, the Chemex made a stellar cup of coffee. It was only edged out by the balance of flavors offered by the French Press. While the french press offered a more balanced cup, the Chemex provided a higher acidity level which brought out more of the tart granny smith notes. Still a sweet cup, the Rwanda Kopakaki brewed on a Chemex reminded us of a caramel apple. We do recommend a higher brew ratio, as the acidity has the potential to leave a slightly bitter finish. If you love a super bright cup, the Aeropress is your best bet. Drinking a cup of this was like biting into a granny smith apple! We recommend experimenting with your Aeropress recipe and diluting the brew. With a 1:12 ratio and a 2 minute brew time, the finish was a little harsh (like over extracted black tea). Compared to the syrupy sweetness of some of the other brewing methods, it wasn’t one of our top picks. However, it still produces a worthy cup for those who love a little tang. The drip maker left a lot to be desired. The body was nice and it retained some of the sweetness, but it crossed the line of being balanced into the territory of being boring. The complexity and sweetness were muddled, the acidity was non-existent, the finish was slightly bitter and astringent on the back end, and the flavors were overall flat. In the end, it was a perfectly acceptable cup of coffee that would be suited for cream and sugar. Unfortunately, however, it just could not compare to some of the other brewing methods, landing it in last place. Our advice? Stick with the French Press or Chemex.